Smart motorways are enhanced stretches of motorways which include dynamic hard shoulders, fluctuating speed limits, monitoring sensors, and cameras. Britain, for example is one of the leading innovators when it comes to road management, with their system known as active traffic management. Even though the UK and a few other countries are implementing advancements to their roads, there is still room for improvement with technologies such as drones, smart LED road studs, eco-friendly lighting and built-in sensors. But in today’s world is smart is enough. We need our motorways to be sustainable and support our ever more sustainable cars, to help restore our planet. Solar roadways seem to be a match made in heaven for electric vehicles. Substituting standard tarmac roads with extra durable solar panels is the main idea behind this technology. The panels, that would act like screens, displaying road signs, warning about lane closures, would also harvest solar energy. This captured energy would then be used to power both road signs and in-car items. Another way to make roads sustainable is to build more “electric”roads. These motorways, for example, would be equipped with an inductive charging system, such as in a phone charger. Thanks to the wireless charging technology that would be installed below the surface, they would create an electromagnetic field, which would be then transferred to receivers, directly powering running vehicles. Some charging panels placed at bus depots in Milton Keynes are an example of this technology as they power electric buses overnight. Similar projects are considered for parking lots – if used on a larger scale, this would significantly reduce carbon emissions in our environment. Making motorway maintenance more sustainable is key to lowering the need for manual labor, financing and being more eco-friendly in general. Researchers at Cambridge, Bath and Cardiff Universities may have found a solution in the form of ‘self-healing concrete’. It is a concrete blend with added bacteria which produces limestone. When moisture enters a slit in the concrete it seals the crack before it gets the chance to widen. Unfortunately, most of these ideas are being criticised and only a few are being currently implemented. Hopefully more and more of these, and other technologies them will actually happen in the future. As for now, we can only try to reduce our carbon footprint by changing our means of transport to a more sustainable one, be it an EV, public transport or a bike. Giles Kirkland is an environmentally conscious car expert with passion for the newest green technologies. He loves investigating renewable fuel sources and sharing his knowledge with other clean tech enthusiasts. You can find him on Twitter and at Oponeo. Living here in UK so far away from your country and home town is not so much easy. It doesn’t matter if you have a good job here or you run your business, living alone or with family. There are so many things you find inconvenient here as compared to your home town or your birth land. But you may find UK so much beneficial with its many facilities and latest technology as well. Technology plays an important role in modern days. It is not about the latest gadgets we use in daily routine but also the useful methods and techniques as well which we are using in our daily life. In modern days where distance means nothing because of advance transportation you can be anywhere in whole world with in few hours, same like if you want to send your personal belongings anywhere you are now capable to send it. Thanks to cargo services as there is no need to be worried at all in their presence. Cargo companies are so efficient to send your all personal belongings including delicate appliances and many other electronics like LCD, laptops, mobile phones as well as your bikes, cars and heavy commercial equipment. Cargo service is not that much easy as it looks like, it requires a lot of professional responsibilities and skill to deliver your precious personal belongings safely at your door step. A professional cargo service is efficient enough to make you feel stress free and take your all burden of excess luggage shipment, sending delicate electronics and all those lithium battery containing stuff which is not allowed to cargo send from UK to India. As professional cargo services are authenticated and they know how to deal with all lithium contained battery stuff, so they are allowed to ship laptops and mobile phones via cargo from UK to India. How cargo services facilitate you? Cargo service is such a big industry and it facilitates you for your ease with its quality services. They assist you with their premium services of sea cargo and air cargo. 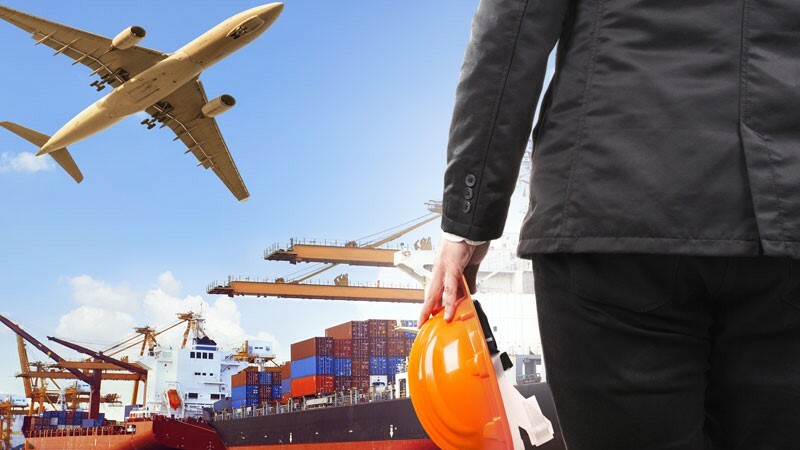 These two services further have sub categories of door to door cargo service, door to port cargo facility, port to port and port to door cargo services. It could be possible that all these services may sounds not so much beneficial to you but when time comes these services not only just takes your burden but also helpful for you to save a lot of your money as well. If you are looking for a way to save your money it is not a bad thing. You work hard here in UK to earn good and it is so obvious if you are looking for money saving procedures. Well here we suggest you money saving tips for free. Every cargo service quotes you the price of your cargo. You can get quotes from all superior cargo services and compare them. Now you can select one from them with which you think you may have quality cargo services in cheapest online rates.